The typical Gemini woman lights up a room when she walks into it. She is energetic, talkative and mercurial, seemingly being all things to all people. A fantastic conversationalist, she has the gift of making you seem like the most important person in the world….but then in a heartbeat, her attention has shifted and she’s moved on. For a Gemini woman, compatibility can be hard to come by, but only because she dislikes being slowed down and restricted. The most striking thing about a Gemini woman’s appearance is her eyes, closely followed by her very expressive hands. She is charming and doesn’t have to try too hard to impress in social situations; it comes naturally to her. Although she is a great feminist and a full supporter of equality, she’s not above using her feminine charms to get what she wants through a little harmless flirting. She doesn’t normally follow up on the flirting, however, and is much more faithful than you might imagine. Still, Gemini woman compatibility depends upon her having a partner who can handle her flirtatious nature without becoming overly jealous. Very clever and intellectual, the Gemini woman seeks a partner who is her intellectual equal. She loves to talk and to debate and to rationalize, and would not cope well with a partner who didn’t also enjoy this kind of communication. The strong, silent type is probably her worst nightmare – if you’re hoping for Gemini woman compatibility, it’s vital that you express yourself. 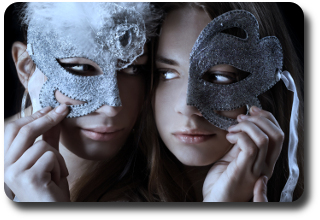 Although externally confident and feminine, the Gemini woman’s sociable front masks a more vulnerable self. She is frightened by strong emotions and may struggle to cope when life becomes very deep or complicated. At times like this, she shuts down her emotions altogether and becomes almost robotic, but it’s then that she most needs an understanding partner who knows what’s going on inside her head. Your Gemini woman won’t always tell you how much she loves you, but you’ll know it through her behavior. She is attentive and kind, and will leave you romantic notes or small gifts. When it comes to a heart to heart talk, however, she’ll probably back away. Gemini woman compatibility is best with a man who won’t take this kind of mini rejection personally. Once settled into a relationships, the Gemini woman will want to travel as much as possible, which could infuriate a partner who wants to put down roots. As a parent she will be inspirational and encouraging, never smothering her children. She won’t smother you either, so if you’re the type of man who wants “looking after” then perhaps Gemini woman compatibility is not for you. It can take a long time for the Gemini woman to find her true match; in the meantime, her approach to relationships can be rather fickle and her affairs could be short lived. If you hope to be the one, it’s important that you allow Gemini woman compatibility to develop naturally and fully, so that she knows you will support both her external nature and her internal worries.